(CNN) - Special counsel Robert Mueller has filed new charges against former Donald Trump campaign officials Paul Manafort and Rick Gates. In the 37-page indictment in Virginia, prosecutors describe a "scheme" in which the two longtime business partners allegedly laundered $30 million, failed to pay taxes for almost 10 years and used real estate they owned to fraudulently secure more than $20 million in loans. 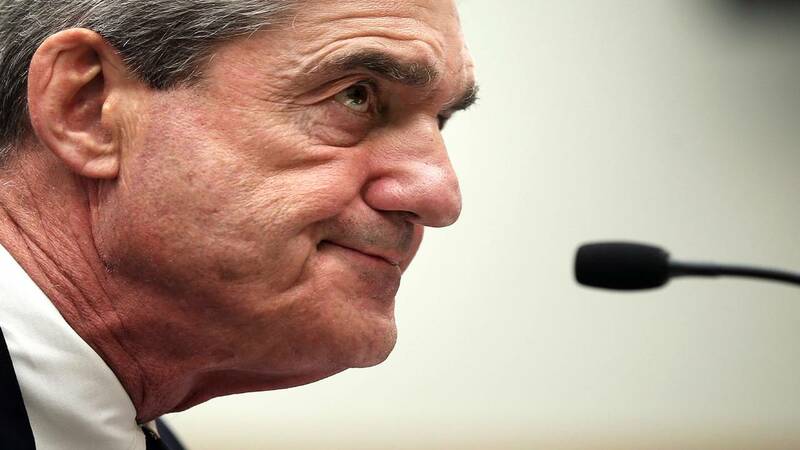 The indictments show increasing pressure from Mueller on the former top Trump campaign officials and highlight his aggressive effort to investigate Russian interference in the 2016 US presidential election and any related matters uncovered during the investigation. They also hit Gates as the attorney who has been negotiating his plea deal with Mueller for more than a month takes over for Gates' in-court legal team, and as another sealed criminal charge hangs over the case in Washington. Manafort's spokesman, Jason Maloni, said in a statement that Manafort "is innocent of the allegations set out in the newly filed indictments and he is confident that he will be acquitted of all charges. The new allegations against Mr. Manafort, once again, have nothing to do with Russia and 2016 election interference/collusion. Mr. Manafort is confident that he will be acquitted and violations of his constitutional rights will be remedied." White House special counsel Ty Cobb said in a statement: "The White House has repeatedly declined to comment on the matters involving Mr. Manafort and Mr. Gates given the fact that none of the charges pertain to the campaign or to the White House." In the indictment released Thursday, prosecutors allege Manafort and Gates "hid the existence and ownership of the foreign companies and bank accounts" they oversaw and laundered more than $30 million in income. Some of the fraud was possible because the men disguised their income as "loans" from shell corporations they ran, the prosecutors said. Manafort used some of the money to buy real estate in the US, and they both used the money on home improvement and to refinance their mortgages, the indictment alleges. They also allegedly used money from their offshore accounts to pay for luxury goods, and, in Gates' case, for his mortgage and children's tuition. Manafort allegedly laundered and hid from the federal government $30 million in income with Gates' assistance, prosecutors said, while Gates allegedly gained $3 million through the offshore accounts. They were able to defraud banks because of the tens of millions of dollars they earned doing Ukrainian political work and lobbying from 2006 until 2015, the prosecutors allege. When the income "dwindled" after Manafort's client fled Ukraine for Russia, he lied --- with Gates' help -- about their companies' worth to obtain millions of dollars in mortgages and didn't pay taxes on their newfound riches, prosecutors allege. Mueller's prosecutors recently told Manafort and Gates they could choose to face the Virginia indictment in DC instead as part of the case that is already open, but Manafort refused. The prosecutors also "met with defense counsel to go over the proof underlying the bank fraud charges" and to hear their arguments on why they should not face a new indictment, according to a report the prosecutors made to the judge in DC on Thursday. A sealed charge was filed in Washington in their case on Wednesday, and it's not known what it is about or who faces those additional federal charges. Thursday's indictment adds more pressure on Manafort and Gates as their Washington trial approaches later this year. No date has been set for a trial. Even with the new indictment Thursday, Gates could still change his plea in the Washington-based case. Defense lawyer Tom Green, who has negotiated Gates' plea deal for more than a month behind the scenes, finally told the court he'd represent Gates officially Thursday night, a strong indication that Gates is on the precipice of reaching a plea deal with prosecutors. Gates' trial team since October then left the case. Gates rejected several offers of a deal from the special counsel after talks had been ongoing for more than a month. Although at times this week a deal appeared to be off, talks were still continuing as of Thursday, according to sources familiar with the matter. Green had held out from joining Gates' trial team because a trial would be a grueling, months-long and expensive ordeal for both lawyer and client, with the risk of a sentence of more than 10 years in prison, according to sources familiar with the matter. With Green's entry into the case, a hearing on Gates' representation in court, set for Friday in DC, was canceled. The defendants may be able to make a deal only if they have valuable information that Mueller can use to help his investigation. If either were to flip, he could testify against the other or about what they witnessed during Trump's presidential campaign. CNN previously reported that Gates has been in negotiations with Mueller's office for more than a month, and that Gates had spoken to prosecutors about his case since his indictment.